General Laidoner was the Commander‑in‑Chief of the Estonian army in the periods 1918–1920, 1924–1925 and 1934–1940. The Estonian War Museum – General Laidoner Museum is situated in Viimsi Manor, which belonged to Johan Laidoner from 1923 to 1940. 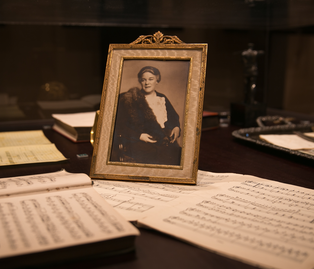 Remembrance of Laidoner and his family are kept intact in two rooms on the first floor of the manor. Laidoner’s study is the only part of the manor that retains interior design elements from the 19th century: namely, the wooden décor surrounding the windows and the door. The furniture in the study originates from the Commander‑in‑Chief’s former office in the War Ministry on Pagari Street in Tallinn Old Town. The second room focuses on the life and career of Johan Laidoner (1884–1953). The stands provide information on his background, education, service in the Imperial Russian Army and Estonian army, involvement in foreign politics by representing Estonia at the plenary assemblies of the League of Nations and as head of a League of Nations special investigation committee in the Mosul region in 1925, but also his arrest by the Soviet Union security service, subsequent imprisonment and death. We can also learn about his personal life and the life of Maria Laidoner, his wife née Kruszewska. 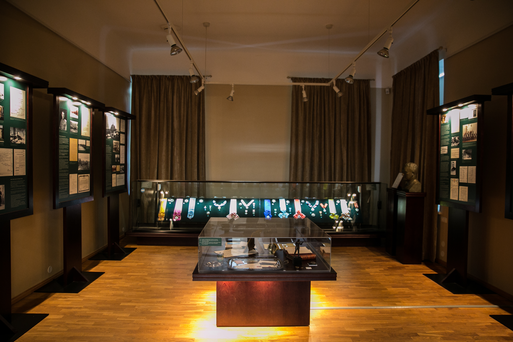 Also on display are items that belonged to the Laidoner family, with decorations bestowed on Johan Laidoner as special highlights. His relatives managed to get them out of Estonia during World War II. They found their way back to Estonia in 2004, with the help of George W. Bush, President of the United States.